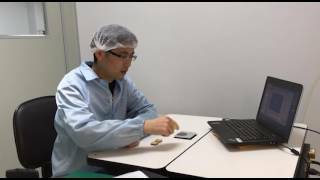 VXRF5-28 EMI Filter | VPT, Inc. The VXR Series of EMI filters is the most advanced offering in VPT’s extensive line of high reliability COTS products. 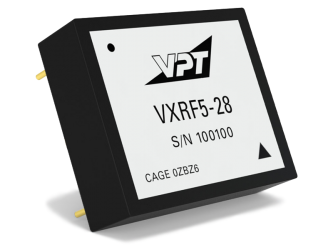 Building on a proven design heritage, the VXRF5 features low resistance, high attenuation and a wide input voltage range. The VXR product family is optimized for a broad range of applications from military ground vehicles to commercial and military aircraft and is intended for harsh environments including severe vibration, shock and temperature cycling. The VXR Series patent-pending epoxy encapsulated V-SHIELD® packaging is highly resistant to chemical, solvent and salt environments and is fully compatible with high volume manufacturing processes including wave solder, cleaning solvents, high pressure sprays and aqueous wash processes. A unique integral six-sided metalized shield improves system EMI compatibility. Dual sided conduction cooling coupled with reduced power dissipation simplifies system thermal design. To provide you with the most accurate data for the actual performance of this product once deployed, please note that the electrical performance data provided below is at Tcase = -55° C to +105° C, Vin= +28V ±5%, full load, unless otherwise specified.